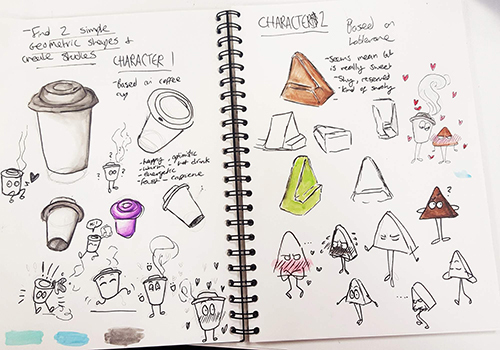 It follows a story about a cup of coffee and a piece of chocolate who meet by accident, when Coffee accidentally trips and spills hot coffee on Chocolate, causing him to melt slightly. The sun comes out, which makes them both panic in case the chocolate melts more. Coffee then has an idea; A near by ice cream shop to help cool the chocolate down by putting him in a freezer. They do so, Chocolate is fixed and they become good friends.